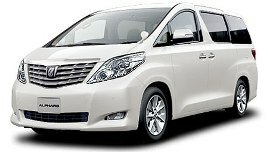 Regional luxury shuttle & tours offers the following:luxury private transfer luxury car costs 270usd only 4hours Nairobi to Arusha, luxury shuttle bus services Nairobi to Arusha 25$ , Nairobi Moshi 35$ , Nairobi Marangu 70$,we do pick ups from all hotels freely at no Extra cost in Nairobi Arusha and Moshi in Nairobi the hotel pick up is done at between 07:00am and 07:30am morning shuttle bus and Afternoon shuttle bus also at 13:00hrs and 13:30hrs kempinski,Amber Hotel,Sentrim 680,The Boma Nairobi,BEST WESTERN Plus Meridian Hotel,Nairobi Serena Hotel,Eka Hotel Nairobi,The Strand Hotel,Golden Tulip Westlands Nairobi Hotel,ambassadeur Hotel, Boulevard Hotel, Fairview Hotel, Hilton Hotel, Intercontinental Hotel, Nairobi Safari Club, New Stanley Hotel, Norfolk Hotel, Jacaranda Hotel, Impala club, oleseleni, Hilton Hotel, Intercontinential Hotel, Meridian court Hotel, coutry club Hotel, Fairview Hotel, southern cross Hotel) ,and its immediate environs such as Westlands, Hurlingham, upperhill, Jomo Kenyatta Airport and Selected points in Arusha : are Hotels such as Impala Hotel , Jacaranda Hotel ,Meru inn, City link Hotel and Moshi Hotel to be picked are : kilimayaro Hotel,park view inn ,Leopard hotel,On Keys hotel,spring land hotel zebra hotel , Kilimanjaro International Airport and Marangu Hotels,luxury coaches privtate car hire. Regional luxury shuttle & tours is a company offerS shuttle bus services between Nairobi, Arusha, Moshi, Marangu Hotel, private car hire transfers Nairobi Airport to Arusha and Moshi, it about 4 hrs traveling from Nairobi to Arusha and 6 hours traveling from Nairobi to Moshi. shuttle bus services between Nairobi, Arusha Hotels, Moshi Hotels,Impala hotel,Nairobi Arusha shuttle bus,Nairobi, Arusha, Moshi, Marangu shuttles,Marangu Luxury shuttles,Moshi town Nairobi silver springs Moshi shuttle bus,Nairobiarushashuttlebus Jomo Kenyatta Airport and Kilimanjaro International Airport private transfers,Impala shuttle Dar es Salaam, private transfers from Nairobi jkia to Arusha and Moshi, Car Hire for 9 seater shuttle bus, 22seater shuttle bus, 32 seater shuttle bus, 55 seater shuttle bus, Nairobi arusha shuttle. Regional Luxury shuttle bus & car hire offers large range of vehicle , starting from wedding car, shuttle bus services Chauffeured Limousines service, we also organise conferences transport,team building and private car hire for within kenya and outside kenya and Tanzania transfers from Nairobi (Kenya) - Namanga (border) - Arusha (Tanzania ) - Moshi - Marangu Hotel and Mt. Kilimanjaro, we also offer Chauffeured Limousines services, Tanzania luxury shuttles & coaches is the luxury coach charter division of Unitrans Passenger. It is rated as one of the leading shuttle bus company in East Africa with a well established portfolio of blue chip clients. What do you need to get to Tanzania?